Mar. 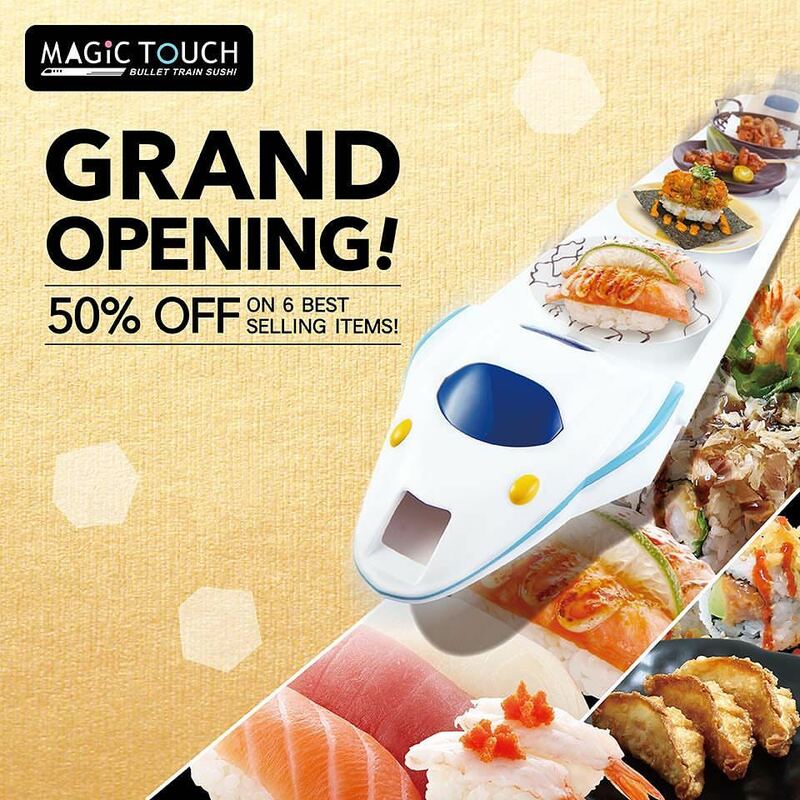 24 - 27 | 50% Off Sushi @ Magic Touch Bullet Train Sushi - Cerritos - EAT WITH HOP! Yay! More "Train" Sushi places are coming here! I prefer this so much more than rotating sushi because rotating sushi can be very...slowww... and the food isn't as fresh or made to order. With this "train sushi" concept, you order your food on a touch screen pad and it is delivered to you on a cute little train that swooshes to your table! 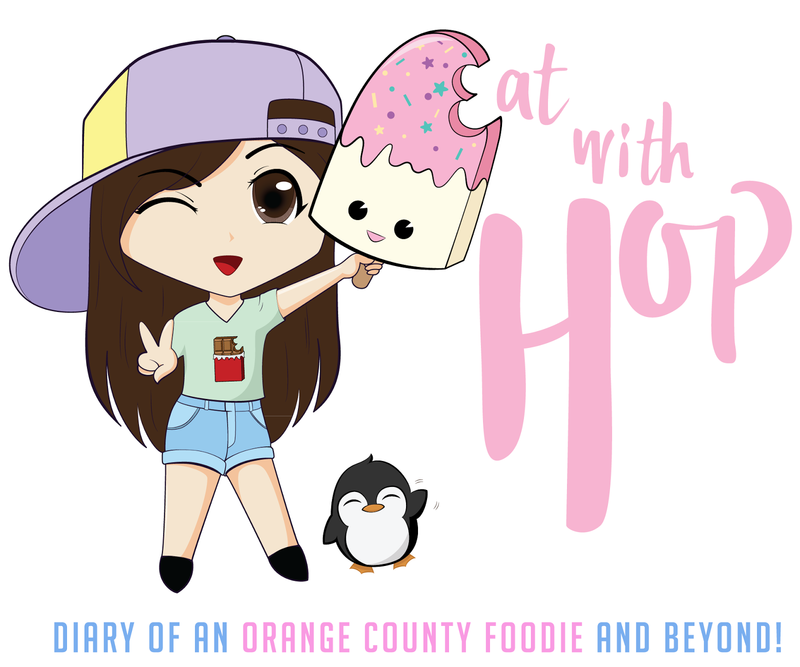 A new restaurant, called Magic Touch Bullet Train Sushi is coming to Cerritos! And yes, there are deals! Goodbye rotating sushi, it's train sushi now! I've been meaning to go to Genki Sushi inside Mainplace Mall which recently renovated to introduce this concept of delivering your sushi on a train or bullet or something. Something that doesn't require you to stare at sushi on a rotating belt that has probably been sitting for awhile. Grand Opening Promo: 50% OFF on 6 best selling items during March 24 - March 27 (Fri - Mon)! It's so cool how you order on a touch-screen pad and the sushi comes on a bullet train (shinkansen)! Reminds me of GENKI SUSHI in Shibuya (my absolute fave! ).